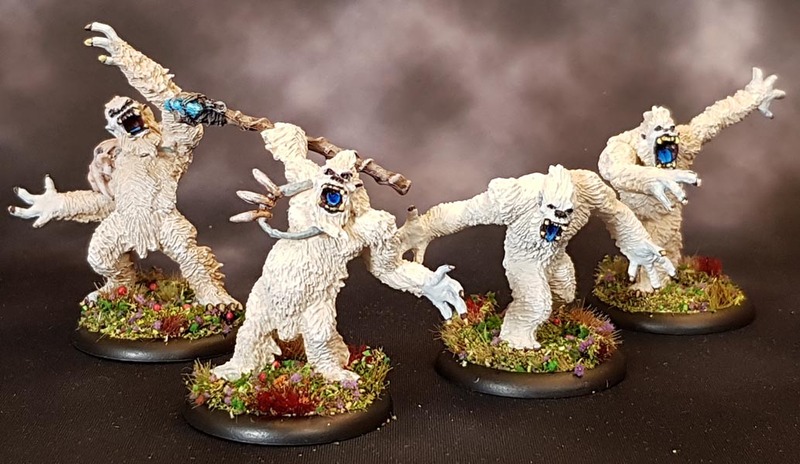 aka Abominable Snowmen, aka Yhetees aka shaggy white snow trolls. 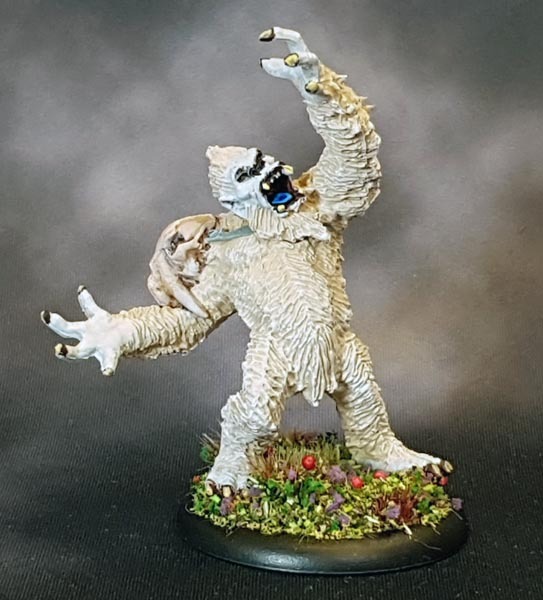 I chose to base them the same way I do the rest of my minis, in case I actually get around to building an Ogre army sometime in the future. Yeah, I know they are supposed to be called Ogors now, but just no. 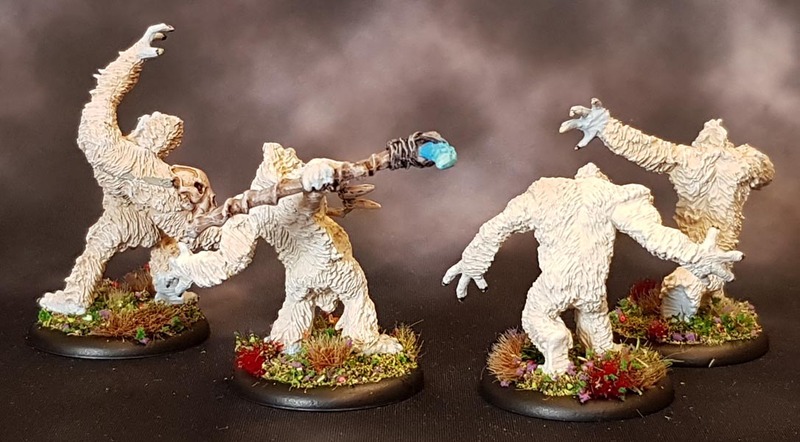 It is not really apparent in the photos, but they are all subtly different in the colours used for the base yellow and offwhite fur. 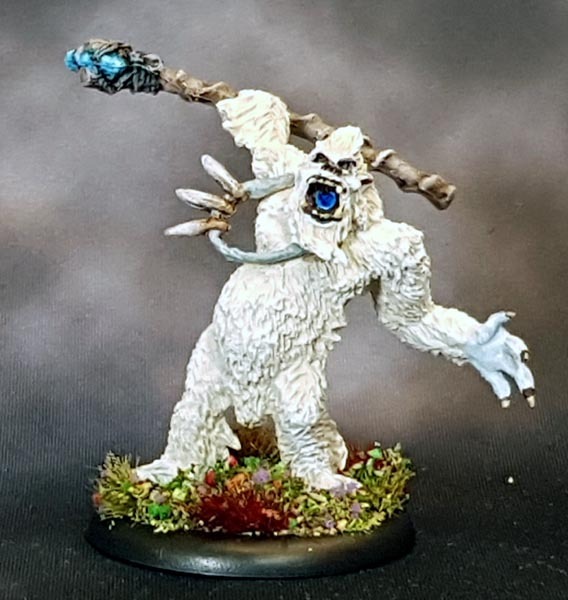 77434: Yeti Chieftain, 77433: Yeti Shaman, 77435 Yeti Warrior and 77436 Yeti Shredder. Nice work! July was a bit of a miss for me in terms of painting this year too.